Two words that consistently hover near the top of my Guilty Pleasures list are “fried” and “pizza” so it’s little wonder that Forcella Fried Pizza’s stall in DeKalb Market, 445 Albee Square West in Brooklyn, grabbed my attention. The procedure entails tossing the dough to shape it, deep frying it, adding toppings, and then subjecting it to their fiery pizza oven; the finished product is the puffy Neapolitan style pizza that’s been the rage for several years with enough crispiness to distinguish it from an unfried pie. I like the combination of blisteringly hot oven char and deep fried crunch – the best of both worlds. 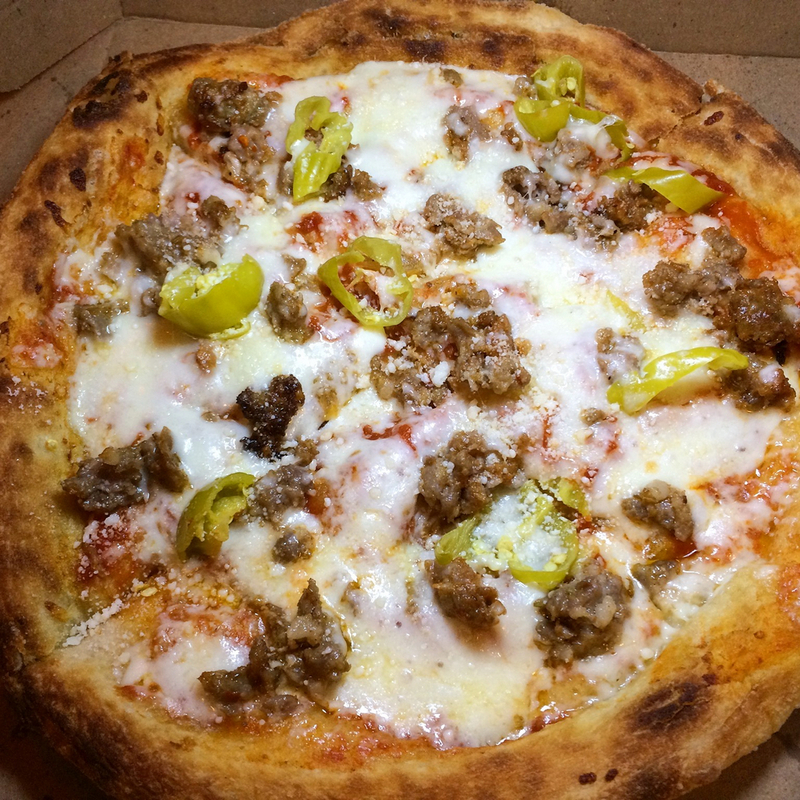 Just the right size for sharing, here’s their “Italian Sausage” option: sausage, tomato sauce, fresh mozzarella, and pepperoncini – yes, sometimes I go basic on a maiden voyage. I prefer sausage in chunks (but pepperoni in slices) and that’s their MO, so I was happy. Good stuff; next time, a more challenging version!